My Kitchen Star has kitchen design showrooms on the Central Coast, West Gosford NSW, and in Bungalow, Cairns QLD. We specialise in beautiful custom designed quality kitchens, kitchen renovations and a full range of joinery for the home with a reliable after-sales service. At My Kitchen Star we offer not only a free appointment to discuss options, designs and products – but also FREE quotes with 3D kitchen design that will enable you to visualise your new kitchen or other joinery before they are even ordered, giving you peace of mind! Our pricing is fair and competitive, we focus on our customers’ budget and needs. My Kitchen Star is all about German and Danish design innovation; this means all our kitchens and joinery have style, great functionality, quality, durability – a design that will stand the test of time. Our kitchen design Central Coast or kitchen design Cairns offer the latest in kitchen technology, using only highest German quality hardware, fittings and materials. My Kitchen Star has extensive experience performing kitchen renovations and we will ensure a quality job will be done. We service kitchens Gosford, Central Coast, Wyong, Sydney, and now also Cairns, Mareeba and Atherton. We provide reliable kitchen renovation Central Coast, Gosford, and kitchen renovation Cairns options. To book a free design appointment in our kitchen showrooms in West Gosford, Central Coast, or Bungalow, Cairns, contact us and we will be in touch. Our kitchens Central Coast or kitchens Cairns services are designed to improve your culinary experience. My Kitchen Star is committed to providing a best quality service to all our clients. We have set the standards for design of kitchens Wyong, Gosford and all throughout all Central Coast areas as well as Cairns area. We care about your job and we will make sure that you will enjoy your new kitchen and joinery for many, many years to come. My Kitchen Star is located on the Central Coast of NSW and in Bungalow, Cairns, QLD, and services all areas from Gosford, Wyong area to Sydney and tropical North Queensland, Cairns including Mareeba and Atherton. We can address all your kitchen renovation Central Coast or kitchen renovation Cairns requirements with confidence. Kitchens, kitchen renovation, professional kitchen installation, kitchens Central Coast solutions, kitchens Cairns solutions, custom made wardrobes, laundries, vanities and other joinery solutions. We give you bright ideas regarding kitchen design on the Central Coast and kitchen design in Cairns. Whether that be a modern or traditional Australian design or perhaps even a kitchen with Danish design influence. With our German quality and Danish design and engineering know-how, your kitchen will not only be aesthetically a cut above the rest, but it will function with absolute perfection for many years to come. But this quality doesn’t come with a price to match, you will find all our products and services come at an affordable price to suit any budget. We offer custom design, excellent prices and a company that is passionate to serve you and your needs. We appreciate that people have unique requirements – every kitchen is different at the end of the day. The goal of our kitchens Wyong, Gosford and kitchens Cairns services is to give you joy every time you look and use your kitchen or other product and and service we offer. If you are looking for quality kitchen design Central Coast and kitchen design Cairns solutions, we can cover your needs sufficiently. If you’ve been searching for Central Coast wardrobes or walk-in wardrobes Cairns, then look no further. We offer wardrobes in all colours, shapes and sizes including standalone and built in. We offer a range of door finishes and internal storage solutions. We can advise on a design and style that fits within your budget. Of course we can provide superb design advice and measure and install it on your premises. Central Coast or Cairns joinery, you ask. Yes we do that too! We can provide all sorts of joinery solutions including TV entertainment units or home office. Our joinery is designed and built to fit into your home and to be a treasured piece in your interior. You will be amazed at the warmth and beauty natural timbers can bring to an interior. Our bespoke designs are praised by our loyal customers who get more and more pieces done through My Kitchen Star. Our most popular service is our custom kitchens including German/Danish designed kitchens, this is part of our kitchens Wyong and Cairns service. As they say the kitchen is the heart of the home and when people purchase a new home they are always after a good quality kitchen. Our team comprises of skilled designers and kitchen cabinet makers Central Coast and kitchen cabinet makers Cairns. So whether you are renovating to resell or renovating to live your dream speak to us first for a solution and service that suits your needs. A huge thankyou to Preben and his team at My Kitchen Star. Our dream kitchen has turned out to be everything we wanted and more. Preben and his staff were always friendly and helpful. The attention to fine detail is to be commended. We love all the little drawers in the big drawers and my favourite drawer is the drawer under the sink which shapes around so you can see everything. We are so happy with the transformation and would recommend My Kitchen Star to all our friends and family. My wife and I were both impressed by the professionalism and experience of My Kitchen Star. This was displayed at our initial meeting, where new ideas and designs were brought to our attention. This became more evident after the installation. The install was carried out on time and to quote whilst my wife and I were overseas. A relative basically opened the door for the team and My Kitchen Star did the rest. My Kitchen Star won the tender over 2 other tenderers by providing best value for money, outstanding computer design drawings provided with tender and a very good delivery. My wife and I were impressed with the quality and completeness of the installation and minimum amount of clean-up which we did. We have no problem in recommending My Kitchen Star. Hello Preben. Thought this was an opportune time to say Happy New Year to you and just to express our gratitude and thanks for the wonderful work that you have done for Nicola and myself over the last 2 years on our Noraville & Northbridge properties. We appreciate it very much and it has been a pleasure to work with and deal with you. All the very best and we wish you continued good health and success for 2019. Mark and Nicola. Hi Preben. Thanks so much for the high standard of professionalism you demonstrated in doing my kitchen. I'm so happy with the job and will highly recommend your company to anyone. And also, the way you kept me up to date on the progress. Once again, thanks, it's a breath of fresh air. Proves there are genuine trades people around. Brian Paull. We were very impressed with the service we received from Preben, from drawing of plans to completion of our beautiful kitchen. Every tradesman that came into our house was very professional. We decided on My Kitchen Star as we went to the showroom and could actually see kitchens on display and Preben took the time to go through everything with us. Would highly recommend Preben and his team to anyone building a kitchen. Hi Sonja & Preben I just wanted to thank you for the wonderful job you did on our kitchen, laundry & kitchenette. The service, professionalism, workmanship & time frame was nothing short of excellent. It was a pleasure to have Preben & his team at our home. I am so happy with the end result, I would have absolutely no hesitation in recommending My Kitchen Star to any perspective client. I have already passed your number onto others, we did have a couple of other quotes, but, the overall quote providing exactly what would be done in all 3 areas & the price made the whole situation very easy for us. We liked Preben straight away and could tell he has a great wealth of knowledge about the industry. We wish you both all the very best & if I need another kitchen or changes you will be my first call. Kindest Regards, Debbie & Mal Winzer. We’d like to share our wonderful experience with MKS for other potential buyers. Preben and Sonja from their initial quotation were very professional and accommodating of our dreams, punctual and honest. Although we compromised on a few things due to cost we’re really happy with the end result and love how the synergy and continuity flow. What made MKS stand out from the other competitors was how we dealt directly with the builder and not the sales person, we got the answers to our questions immediately. This was reflected during the installation as everything fitted the way it was designed. The quality and craftsmanship were second to none. You were a pleasure to deal with and we would highly recommend MKS to any future buyers. Pauline and Shannon. We felt like it was a real partnership, working together to get the best outcome, and we are delighted with the results. The service, quality and innovative ideas are second to none. Julie Sheather. My Kitchen Star - MKS became our Kitchen, Bathroom and Laundry Heroes. Ideally, we wanted someone that could take our initially thoughts, add value and deliver a dream kitchen and more. We consulted a number of providers in our area including companies that had had supplied kitchens etc to us in the past. After reviewing all the responses we had no hesitation in committing to MKS. MKS carried out the end to end removal and installation of our kitchen, bathroom and laundry including all the associated trades and services. This involved stripping out / gutting those rooms and remediating any issues found before creating the new rooms. In combination with the tiles, appliances, PC items chosen MKS delivered our dream kitchen, bathroom and laundry. Some of the appliances and PC items came from an MKS supplier and that alone saved us well over a $1000 without any less quality when compared to mainstream brands. We are extremely fussy and detail focused people and MKS took all our feedback on board at every step and responded appropriately. We entrusted MKS to deliver the end solution and that involved numerous tradespeople coming and going inside our home. Without exception all of them upheld the high standards of MKS in terms of respect, cleaning up, attention to detail, quality of work etc. We have received a lot of feedback on the end results including from very experienced tradespeople. The feedback has been full of comments like: Oh wow, oh wow.. I love it .. Awesome.. Beautiful.. Wow.. Oh gosh.. Oh I love this… MKS also built a bespoke entertainment unit for us to our requirements. It is a lovely piece of furniture in its own right. We recommend MKS without hesitation and anyone that needs a new kitchen or any of the other items MKS supply, should definitely be speaking to MKS. Chris and Marilyn Jackson. We are absolutely thrilled with our beautiful new kitchen and highly recommend Preben and his team at My Kitchen Star. As new-comers to Australia we are very grateful for Preben and Sonja's help and advice in an area where we have little experience. From the initial design right down to the finishing touches everything was dealt with in a professional manner. Preben always kept us updated as to the progress of the project and each phase of the installation was completed on time. We have already recommended My Kitchen Star to two of our friends and we are certain you will be hearing from them soon. Thank-you Preben and Sonja, you are stars!! Preben was great to work with and helped us to resolve our kitchen to an exceptional level of detail, thought and design. The final execution and craftsmanship of his work was excellent. We would highly recommend working with My Kitchen Star. Dear Sonja, Judith and I are very happy to express our satisfaction and happiness of the successful outcome from My Kitchen Star, the project was completed as planned with no fuss. We have been very pleased with the professionalism and the fine job executed by the owner Preben and his assistant David. We have already recommended your company to some of our close friends. Yours Sincerely, Naga & Judith Nagarajah. Dear Preben and Sonja, Glenna and I, want to thank you for our fabulous kitchen you designed and built for our family home and I’d like everyone to know it as well. To anyone reading this, do yourself a favour and contact Preben and Sonja at My Kitchen Star, you won’t be disappointed. My wife and I could not be happier with the results of our designed and custom built kitchen from My Kitchen Star. We chose My Kitchen Star after seeing our neighbour’s new kitchen built and designed by Preben and Sonja, and were so glad we did. I highly recommend you do yourself a favour ring Preben or Sonja and take the time to go to their showroom and discuss your plans. They will walk you through every step of the process in a friendly professionalism manner without the big sell. Both he and Sonja truly focus on the client. We couldn’t be happier. Kind regards, Brett and Glenna Kennedy. David and I wanted to thank you so much for our beautiful kitchen. It has been finished beyond our expectations and on time and within our price range with no hiccups. As you know we only obtained one quote which was yours after seeing such a great array of products and craftsmanship in your showroom. You managed to meet our budget and provide a quality kitchen, meeting all our requirements and going above and beyond with any little requests we made along the way. It was lovely to work with such easy going professional people. We can't thank you enough. Megan Radford. We couldn't be happier in choosing My Kitchen Star to design and install our kitchen, laundry and bathroom cabinets. The quality of their work is superior to any other company we looked at. Preben was very good to deal with from the design to the install. They were on time and the install went well. They work in with the other trades and we were impressed with the way the job was finished. We also found good value for our money. We would highly recommend My Kitchen Star. Regards Matt & Darian. Dear Sonja and Preben, Great design, functionality, and just what we were looking for, at both of our properties, both at Bensville and St Huberts Island. Our visitors comment on the lovely kitchens. We made a big decision to transform our kitchen and obviously one of the hardest tasks is choosing the right people to do it. We came across the My Kitchen Star showroom by mistake and have not looked back since. Both Preben and Sonja were extremely welcoming, and you sensed their professionalism almost immediately. Once Preben visited our home, the planning started quite quickly and what we loved was that Preben put forward different ideas, design options and recommendations to us. Along with the fact that we knew we were getting high quality finishes & hardware, this felt like a great fit compared to others we had seen. The high standard of workmanship, professionalism and attention to detail was evident and Preben’s willingness to work closely with us for any adjustments was first class. But enough of the words. At the end of the day what you are really looking for is how did the final product end up – and we are absolutely thrilled. The fact that everyone who enters our home comments on the amazing transformation and quality says it all. We highly recommend Preben & Sonja’s My Kitchen Star to anyone. My Kitchen Star are so easy to deal with. As soon as I walked into their showroom I knew exactly what I wanted. The kitchen they have designed for us is amazing, it has an amazing use of space and I now have more room. I have had to deal with a lot of tradies in the last couple of months and they should take ticket out of My Kitchen Star's books. They turn up when they say they will and they do a quality job and are very professional. I have to especially mention their electrician. We hired him to do the work to the pool in which our site foreman gave us the wrong information. We needed to get it fixed up urgently and he turned up within the hour. He also came back on a Friday afternoon at 5:30pm to fix up the power point in the laundry when we thought he was not coming. To this I would have no problem referring friends and family to My Kitchen Star in which I already have. Dear Preben, Thank you very much for your effort in ensuring our new kitchen was installed pre-Xmas. It must have been quite difficult organising the various trade people at this time of the year. We were very impressed by your professionalism through the whole process from first contact, consultation and the design. Realistic time estimates were appreciated as was the straight forward approach to costing and design. Observing someone work who obviously knew what they were doing was also gratifying. We would like to wish you the very best for the future. Kind regards, Charles and Guanglan. From the time I asked for a quote for a custom made kitchen until it was completed I am still amazed at the level of professionalism shown by Preben. Competitive price, quality material and fittings used, prompt, efficient and friendly service, nothing was too much trouble. Without hesitation I would recommend My Kitchen Star. Thank you, Margaret Kelly. We chose My Kitchen Star based on recommendations and a previous kitchen we had seen done by the company. We found MKS to be extremely competitive and they delivered on our concept. Our kitchen turned out exactly the way we envisaged and we couldn't be happier. The team at MKS was punctual, efficient and happy to make adjustments when requested. The work was of a high standard and we wouldn't hesitate to recommend MKS. Thanks so much, Jennie. From the very first time we met Preben he was polite, helpful and made us feel very confident that he would do a great job. We were not proved wrong. Every appointment made was kept on time, after each day’s work was completed our home was left clean and tidy. The end result is a beautiful kitchen. Just what we wanted and we could find not a single fault. Thank you Preben for your attention to detail, courteous manner and overall great workmanship. Chris & Pip. Thanks to My Kitchen Star, Preben provided design layout solutions that make cooking so much easier than before, all in the same space! His knowledge and experience worked wonders and we are very happy with our fabulous new kitchen. Hanna and Glenn. My thanks to Preben and his team of wonderful tradesmen for my beautiful and very functional new kitchen. It was very refreshing to find a company who arrived on time for every appointment. From the very first meeting with Preben he was very prompt, professional and listened to what I wanted from my new kitchen re-design. The timeframe he estimated for the kitchen was on time and he was also working in with my tilers who were removing a slate floor and retiling. The tradesmen that My Kitchen Star use have the same work ethic as Preben, arrive on time, courteous and very professional. If you are looking for a quality kitchen, that is not over priced, then I would strongly recommend My Kitchen Star. We bought a new home and we were doing a full renovation over a 6 week period. Renovating can be very stressful but dealing with Preben involved no stress at all! Preben was so helpful. He provided me with options and had great advice for my new kitchen. Even when I changed my plans and the kitchen design was completely changing, he was so helpful and quick to get back to me with the new design. Nothing was too much trouble for him! He turned up to meet with me when he said he would, and got back to me in a timely manner. A lot of trades do not do this! I would recommend Preben to anyone who is looking for a new kitchen. He was professional, friendly and a fantastic quality tradesman. Thank you so much for a job well done. I am so happy with my kitchen! Kind Regards, Natalie & Troy – Green Point. Hi Preben. I am writing to express how pleased Ellen and I are with the new kitchen you provided for us at our home. The professionalism and workmanship of you and the various contractors you engaged for the project was excellent, with the finished product more than meeting our expectations. The new kitchen has impressed all who have seen it since its completion. I would have no hesitation in recommending you to any person who sought to have any kitchen works undertaken at their homes. Once again, thank you and best regards. John Passanisi. We love our kitchen and have nothing but praise for Preben's high standards of workmanship and professionalism. His advice at the design stage was so helpful and practical, particularly regarding the purchase and design of the granite bench top. His use of only the best European fittings/hardware gave us great confidence and resulted in a beautifully finished product. He was always patient with our requests for modifications 'on the run'. Nothing was too much trouble. He kept to his schedule, was always tidy and always pleasant. We would confidently recommend him to your prospective customers and allow them to have a look at our kitchen if desired. Cheers Paul. We are very pleased with the kitchen My Kitchen Star supplied and have been enjoying the efficient, well designed modern space. We have had numerous comments on how lovely and streamlined the kitchen looks, giving a cool calm space. Preben had some very good ideas and his supporting trades did an excellent job. Thank you for a job well done! Wayne and Rose. I turned to My Kitchen Star after two other companies had let me down. Preben took my plans and recommended a few extra touches to increase my bench space and storage, and advised me where I should spend a little more and how I could save a little. The result is a modern and spacious kitchen that is a joy to work in. Preben was prompt and efficient, as were the other tradespeople who worked with him. Dear Preben, Thank you so much for the professionalism and dedication to making sure you gave us the best possible service you could. The detail and commitment to making sure we were happy with the result was always at your forefront. Thank you so much again. The Toomeys. Bruce and I just wanted to formally thank you for the excellent work you and your team did in our laundry makeover. We are extremely pleased with the result and appreciated the way in which your organisation of the job caused so little disruption to our usual routine etc. While our job was I am sure relatively small compared with much larger kitchen renovations your attention to detail and your thoroughness ensured that the end result was exactly what we wanted. We hope we get the opportunity to recommend you to other clients in the near future. Kind regards, Dianne and Bruce. We were extremely happy with our kitchen, laundry and TV unit. Preben is very professional and got the job done fast. We would definitely use My Kitchen Star again in the future! Thanks, Alex. We were referred to My Kitchen Star from a reliable friend. When we first contacted Preben we were in a hurry to get things rolling. Unlike other companies that kept us waiting weeks for a quote, Preben had it to us within 6 hours. Everything was delivered as promised, on time and in a very professional manner. Quality workmanship and personalised service, sometimes lost with bigger companies was what stood out for us. We have no hesitation in recommending My Kitchen Star to anybody considering a new kitchen. Quality, attention to detail, very experienced and understanding. Thanks again, Aaron Drew. Dear Preben and Sonja I would like to thank you for my beautiful new kitchen. Working with Preben was an absolute pleasure. I had an idea of what I wanted and his suggestions improved the design and outcome, for example, suggesting self closing doors for the kitchen cupboards which gave the kitchen a sleek, sophisticated and modern look. I found Preben’s customer service to be outstanding, always on time and if he was delayed he would always call. His customer service went beyond my expectation. As a result of the new kitchen some of my bamboo floor needed to be replaced which Preben did saving me from finding someone else to do this. I would highly recommend My Kitchen Star to anyone thinking of updating their kitchen. Yours sincerely, Mary Portelli. I have no hesitation in recommending My Kitchen Star to potential clients. Preben was thoroughly professional from start to finish. From the outset he listened to what we wanted for our kitchen renovation, gave ideas, had samples to hand and quoted in a timely manner. On the day of the reno everything ran smoothly with electricians, plumbers and the stonemasons all of whom Preben had coordinated. Cupboards fit perfectly and we are very pleased with the result. On all occasions Preben arrived on time or phoned if he was delayed. Again, I would recommend My Kitchen Star / Preben Lemming because he did a great job, was reasonably priced and every step worked well. Regards, Rob and Cathy Scotton. Preben spent time to understand our specific requirements and provided ideas, options and limitations on what could / could not be done. Preben spent time ensuring that our expectations were managed and spent time investigating and coming up with solutions. Most appreciated. We felt we got the best quality outcome for our investment, and this meant we were happy. We might have been able to get some aspects cheaper, but we are sure it would not have been the same quality. We also wish we had contacted Preben before we undertook other wardrobe installations, as we would have not needed help to rectify issues from other installers. Preben was very efficient. If you want a quality outcome where you get what you expect, then work with Preben. Make sure you spend time ensuring that your requirements are clear. I will engage Preben again when I next need work done. Our kitchen has been a wonderful centrepiece to our house for some time now. The design, which Preben assisted with, is still fresh, and gaining compliments, both for the classic lines, and the unique elements that give it our character. The quality and finish are superb, even after time, and many many meals have passed. A kitchen means so much to a house, we are so glad that we have something more than 'the ordinary' for our family to live, eat, and entertain in. Preben has an obvious skill and professionalism which is evident on meeting him, and which impression only grows on working with him. His company performs excellent work with courtesy, efficiency, and attention to detail. He has been, and remains a pleasure to work with. We have had the opportunity to work with him more than once, and hope to do so again. Very good work, advice when you need it, and strong personal integrity. I would not hesitate to, and do frequently, recommend him. Thank you for the yummy hamper. We are really happy with our kitchen. Knowing what we wanted and having Preben listen to what we had in mind, then coming up with several designs from which we picked our kitchen design. The finished result was fantastic and has opened and brightened up our living space just as we wanted. We can 100% recommend MyKitchenStar to anyone wanting a new kitchen or renovate their existing kitchen. Beautiful and quality workmanship will add value to our home. Thank you once again. Choosing a new kitchen design was made so much easier with Preben. He was very helpful with the design ideas of our kitchen and came up with an awesome idea of a raised wooden bench top as an extension of our stone top. It looks fabulous and has given us a lot more room at the kitchen bench. With Preben's great creative ideas, we have been given a lot more storage space and it is much easier to work in our new kitchen. Preben was always on time and worked in a very neat and timely manner. The kitchen was taken out in a matter of hours and watching the new kitchen take place with ease was very pleasing. I would not hesitate to recommend any future person wanting a new kitchen to talk to Preben - he is very creative and certainly knows what works in designing a kitchen. Happy customers. We were very happy in what Preben promised regarding time and quality and what he delivered. We got his contact from the word of mouth from a friend who compared prices before (we didn't) but Preben’s offer was absolutely competitive. The competitive price even included delivery and fitting in. That helped us to rent out our property in time (not being delayed by another week). Preben has provided a drawing with his thoughts about the design and it was not necessary to change anything. Definitely recommend and pass on telephone number and email. There will even be another job we're looking forward to work with Preben again soon. My Kitchen Star is your ultimate destination if you want to refurbish your home. Our designs will redefine your home with the trendiest styles. Our kitchens come with Danish design influence which is both pure and elegant. We use only the highest quality German hardware, fittings and materials which are designed to last the life of your kitchen. German engineering has always been synonymous with high quality, purposeful and bespoke design, consideration of kitchen-use cases and ergonomics and rugged durability and reliability. Our My Kitchen Star kitchens have the same attention to detail with every job. We don’t compromise on quality, but you get the benefit of achieving this quality often at same price or even cheaper than competitive kitchens. 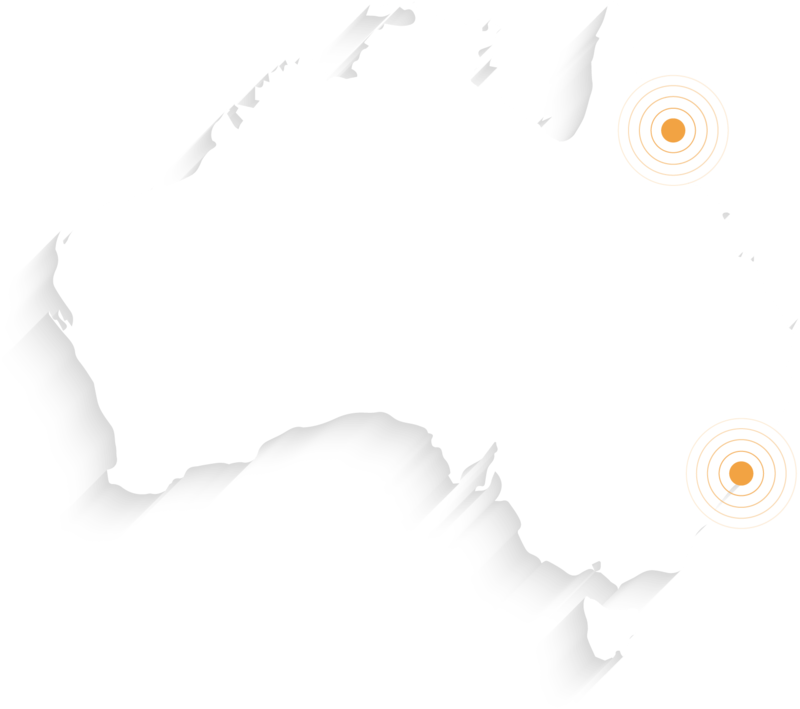 We offer design services in Gosford, Central Coast of NSW and in Cairns, QLD. Our designers can offer you modern kitchens Gosford or modern kitchens Cairns. We not only design and set up new kitchens, but also renovate existing kitchens. We offer a wide array of treatments for your doors, windows or splashbacks. Our kitchens Central Coast services and kitchen design Cairns are designed to deliver design innovation and benchmark utility. At My Kitchen Star, you can opt for built-in, free-standing and walk-in wardrobes. We also offer wardrobe internals like drawer runners, adjustable shelves, hanging rails and more. With modern concepts at the helm, we build stylish wardrobes for your interiors. Our Central Coast wardrobes or walk-in wardrobes Cairns will consist of enough storage space according to your needs. You can rely on the skill of our experienced kitchen cabinet makers Central Coast and cabinet makers Cairns. We have always been proactive in gaining knowledge about latest design trends, and implementing them to create great results for your home. Today we are synonymous with kitchen design Central Coast solutions or kitchen design Cairns. Get in touch with your design or remodelling requirements. We welcome you to choose from a vast choice of our joineries. A home looks incomplete without a study, book shelves and pantries. Our team of joinery experts put their best efforts to come up with innovative designs for decorating your home. We use the latest fitting systems and the finest materials to design lovely extensions to your home. You can contact us via phone or email for installing state-of-the-art kitchens, wardrobes and Central Coast joinery or Cairns joinery. We can create eye-catching custom-made designs and install them in your home. MKS-Kitchens & Joinery offers Central Coast wardrobe solutions or walk-in wardrobe ideas Cairns, all areas from Gosford, Wyong to Sydney and in Cairns. Our home and kitchen cabinet makers Central Coast will custom build your wardrobe and will give you the finish you please. The laundry is an important part of the family home and should you consider to brighten up this room, MKS-Kitchens & Joinery can help you to maximise space with a custom-built laundry. MKS-Kitchens & Joinery also offers custom made pantries, home office joinery, entertainment units and bookshelves. Speak to us today about our Central Coast joinery service or our Cairns joinery service!